PERC will be a state-of-the-art facility that has the potential to serve as a national model for waste management. With over six years of extensive review and scrutiny from county, state and federal agencies, this proposal will adhere to strict regulations and oversight to protect your health and safety. To learn more about how the site has been vetted, please download our fact sheet and visit our FAQs page. Portions of the site are within the 100-year floodplain as designated on the Federal Emergency Management Agency floodplain map. None of the waste management units or operations are located within the floodplain. The U.S. Army Corps of Engineers approved the Jurisdictional Determination and the U.S. EPA concurred that the site contains only “intrastate, isolated, non-navigable waters. Correspondence with the U.S. 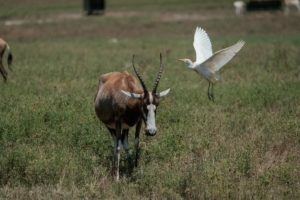 Fish and Wildlife Service and the Texas Parks and Wildlife Department indicates that no impacts to threatened or endangered plant or animal species are expected from the proposed operation of this facility. The liner system and leachate collection system will provide protection of groundwater from contamination. Additionally, the groundwater monitoring system, consisting of 14 wells, will provide for early detection of potential releases from the facility. The current application was designed to specifically avoid any and all development within the currently mapped 100-year floodplain. RVWM has modified the permit to avoid these issues by reducing the size of MSW management units within the PERC facility. Further, the proposed facility entrance road and site access roads utilize existing roadways to prevent floodplain development issues there as well. As currently proposed, PERC does not rely on CLOMR modifications and/or FEMA and Webb County approval. See Figure III.B.1-2 Waste Disposal, Processing, and Storage Plan. Depicted above is a view of the site looking North. 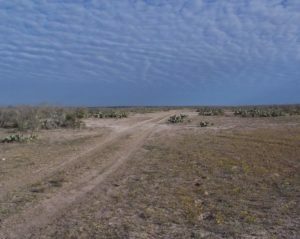 The total permitted facility will encompass 953 acres of an over 12,000-acre private ranch located in a remote area of Webb County. The City of Laredo is now in a position to plan for an overdue upgrade in infrastructure to meet waste management needs faced by every community. Whereas a quick scan of the area surrounding the current Laredo landfill shows homes and other developments just steps away, PERC will offer an opportunity to relocate waste’s final resting place to a desolate area of Webb County. Screening created by the site’s remote location and significant buffer make the proposed site an ideal location. According to the TCEQ Technical Summary, there are no known schools, licensed day-care facilities, cemeteries or churches within one mile of the permit boundary. There are no recorded archeological, historical or aesthetic sites within one mile of the facility. Compatibility: According to the TCEQ Technical Summary, “the South Texas Development Council (STDC) reviewed parts I and II of the application and determined the proposed facility conforms to the regional plan, and is compatible with land use in the area. In addition, Webb County concluded that the facility was ‘in a location that is both environmentally well-suited and compatible with surrounding land use."